A recent bereavement or diagnosis of ill health can prompt many of us to contemplate our own mortality. It is actually fairly common to think about the dying process and what may happen after we have passed on, though many of us may keep these thoughts to ourselves. However, if you find yourself in a constant state of intense worry over your mortality or that of your loved ones, you may be experiencing Thanatophobia. Understood as a form of anxiety relating to the fear of death or the dying process, Thanatophobia can leave individuals struggling to cope with negative thought patterns and feelings of worry or panic. It is important to note that Thanatophobia may not be recognised within certain diagnostic criteria used by mental health professionals, with symptoms paired instead with a diagnosis of generalised anxiety disorder. Thanatophobia can develop in both men and women, and can peak when an individual reaches their 20s before fading over time. The elderly are more likely to experience Thanatophobia if they have received a diagnosis of ill health or fear that their health is failing them as they age. Likewise, individuals with elderly parents may also experience worries surrounding death if they observe signs of their ageing. Individuals who have been diagnosed with a serious or life limiting health condition can also develop Thanatophobia if they begin to contemplate their mortality. How do I know if I have Thanatophobia? Individuals experiencing Thanatophobia usually find that their symptoms are triggered or exacerbated when their thoughts drift to those of death or dying. Thanatophobia can manifest physically through increased feelings of anxiety and frequent panic attacks. Individuals may also experience nausea, heart palpitations, sweating, or dizzy spells. Emotionally, Thanatophobia can leave us in a state of persistent worry that may result in the avoidance of loved ones or everyday responsibilities for long periods of time. Individuals may also experience intense feelings of anger, guilt, sadness, and agitation. Psychotherapy is widely regarded as the best form of treatment for Thanatophobia. The treatment plan individuals can embark on with the help of a counsellor or therapist may depend on factors such as age, severity of symptoms, medical history, and personal preference. Talking therapies have been found to be particularly useful for individuals experiencing Thanatophobia, allowing them to share any fears or anxieties with a mental health professional in a safe and confidential space. 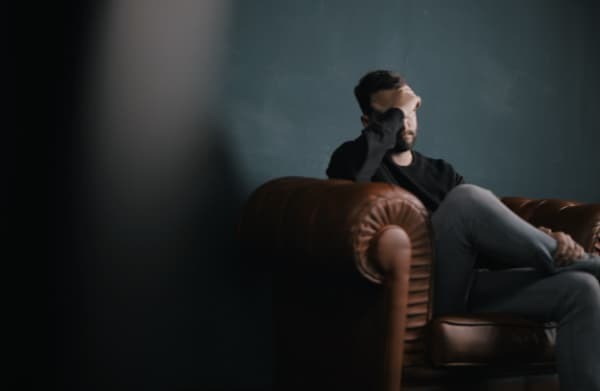 Cognitive Behavioural Therapy (CBT), a form of talking therapy, has been recognised as an effective treatment for generalised anxiety disorder, which shares similar symptoms with Thanatophobia. CBT can help individuals recognise and challenge negative thoughts, replacing them with positive patterns. Some medications can also be prescribed for individuals experiencing Thanatophobia. For example, anti-depressants may be useful for those with anxiety or depression stemming from their fears surrounding death. However, medication cannot ‘cure’ Thanatophobia and is not a widely preferred treatment option amongst mental health professionals.